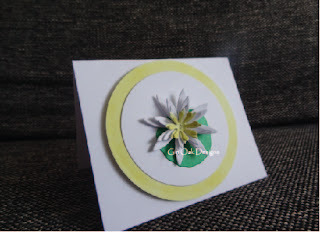 Today I thought I'd share with you a CAS mini card I made recently. I love stylish cards that aren't covered with lots of embellishments. This year I've mainly been focussed on mini cards and recently I've also started using die-cuts on my mini cards. 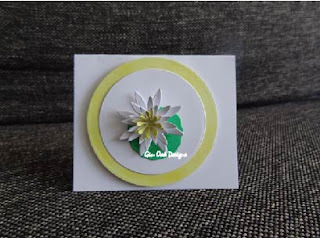 This card uses the LaLa Land Water Lily die cut, available here. Isn't it fun how the flower lifts off the page?! ?